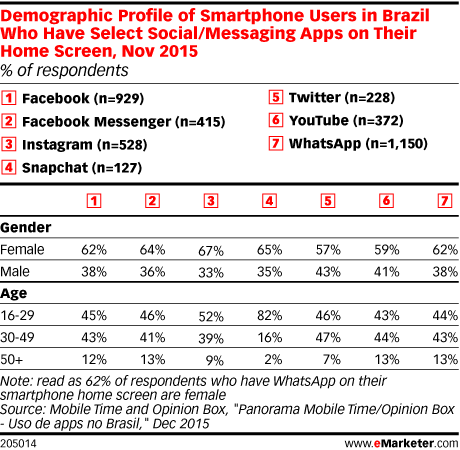 Data is from the December 2015 Mobile Time and Opinion Box report titled "Panorama Mobile Time/Opinion Box - Uso de apps no Brasil." 1,447 smartphone owners ages 16+ in Brazil were surveyed online during November 2015. Results were weighted according to age, income, gender and geographic distribution of internet users in Brazil who own a smartphone.